This adapter goes onto the Magicube socket of the Polaroid Big Shot. With this Adapter you can use an electronic flash with the Big shot camera. No more Magicubes needed - the E-flash does the same job to get a good exposed image. 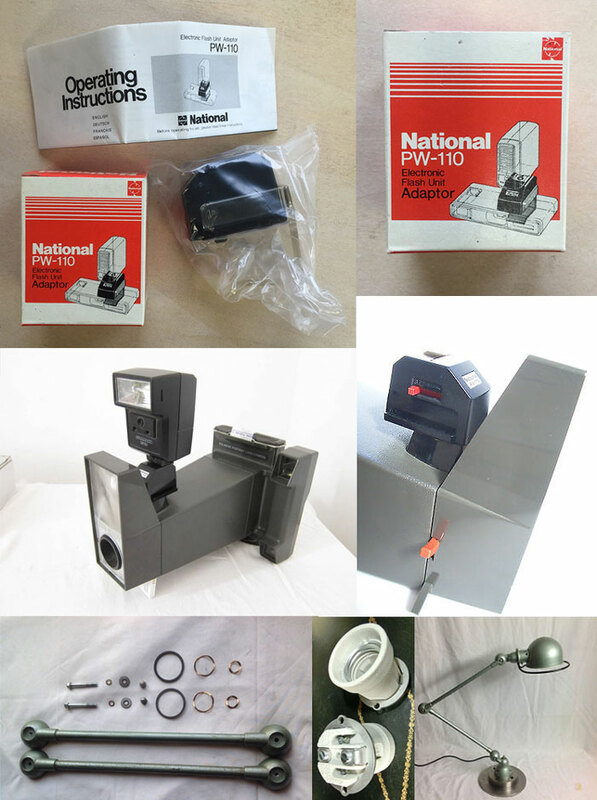 I have several PW-110's available. All new in box. Special for French members : to restore the old Jielde lamps (Jean Louis Domecq) in my studio I am looking for Jielde lamp parts. So swapping is an option too. what would be the cost for shipping of of these to France? shipping cost to France is 15 euro royal mail signed for with insurance. I am interrested in bying one of your National PW. Can we talk by mail ? Thank you Nicolas - I have send you a private message through the forum mail. could you send me the detail of purchase (+shipping to Bangkok, Thailand)in my inbox? i tried to send you msg but it wouldnt let me. I'm interested if you still have a PW110 adapter to sell. Let me know, Thanks! Do you still have one national pw 110 for sale? Greetings, I'm from the New York, I would like to purchase the adapter for the Polaroid Big shot Flash, do you have any left? And what flash works the best? Can you email me a response wattsphotosession@gmail.com ? I notice you havent been on here since August and email would be a quicker response for me. Xpired a écrit : This adapter goes onto the Magicube socket of the Polaroid Big Shot. With this Adapter you can use an electronic flash with the Big shot camera. No more Magicubes needed - the E-flash does the same job to get a good exposed image.